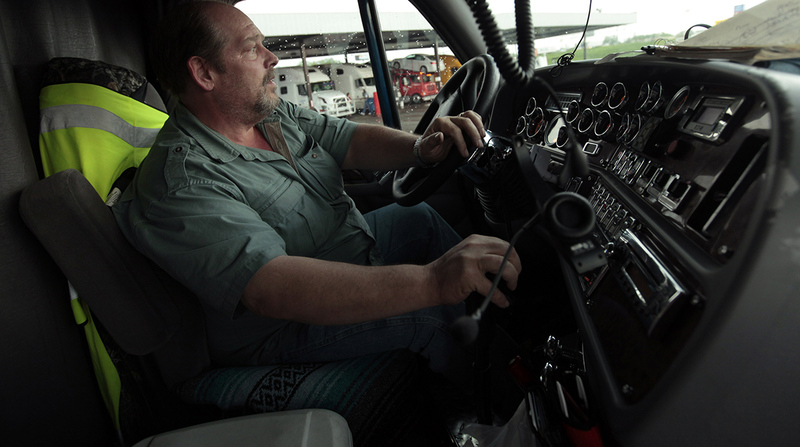 Driver turnover at large and small truckload carriers surged in the second quarter and could go higher in the months ahead, according to data released by American Trucking Associations. Turnover at large carriers jumped 16 percentage points to an annualized rate of 90% in the three months ended June 30, which is the highest level since the fourth quarter of 2015 and the biggest quarterly increase since the final quarter of 2010. Turnover at small carriers (annual revenue of less than $30 million) rose at an even faster pace, to 85% in the second quarter from 66% in the first quarter. “After a period of relatively low turnover, it appears the driver market is tightening again, which coupled with increased demand for freight movement could rapidly exacerbate the driver shortage,” said ATA Chief Economist Bob Costello, who authored the report on driver churn. ATA measures turnover by dividing the number of drivers who leave by the average number of drivers working and multiplying by 100 to get a percentage. ATA then annualizes the data. So that means a carrier with 500 drivers who quit over the course of a year out of a stable 1,000 drivers has a turnover rate of 50%. The surge in turnover comes amid signs that demand for freight hauling is increasing and carriers are stepping up efforts to recruit drivers by offering up to $10,000 in sign-on bonuses. Annualized turnover rates topped 100% among large fleets during several quarters in 2015 and approached 90% among smaller fleets, but rates declined steadily throughout 2016 before turning up again in the first quarter of 2017. One sign of increased competition for drivers is the number of carriers offering bonuses for new hires. Roehl Transport Inc. last week offered a sign-on/stay bonus of $10,000 for drivers with at least six months experience driving solo over-the-road tractor-trailers. The company, based in Marshfield, Wis., is seeking drivers for its flatbed, dry van, curtainside and refrigerated fleets in the Midwest, Southeast, Great Lakes, Central, Northeast and Dairyland regions. The money is paid to drivers in installments with the first payout of $500 upon completion of the first load hauled and $500 for every 10,000-mile interval after that. After running 30,000 paid miles, drivers will receive an additional bonus payment of $500, for a total of $1,000, with payments of $500 continuing for every 10,000 miles until the driver reaches $10,000. Tim Norlin, vice president of driver employment at Roehl, said the company offers many career paths to match a driver’s level of expertise or area of discipline. “We’re excited to be able to offer our new experienced drivers a great bonus that is easily attainable,” Norlin said. Roehl Transport ranks No. 76 on the Transport Topics Top 100 list of for-hire carriers in North America. At Pride Transport in Salt Lake City, drivers can earn a $2,000 sign-on bonus, and team drivers are paid for the distance of the leg they drive and not just the total length of the load. The program includes up to 20 cents a mile more than base pay for deadhead miles, and drivers can earn points that increase pay based on miles, fuel efficiency and on-time delivery performance. The best strategy to increase driver retention, according to consultant Stay Metric’s research and experience in surveying drivers, is to create a “culture of truth-telling,” according to CEO Tim Hindes. “Driver prospects should know the good, the bad and the ugly of the job,” Hindes said in a recent blog post. The vast majority of driver turnover involves drivers who move from one carrier to another. Turnover also is concentrated in just one sector of trucking, the longhaul, over-the-road truckload business in which drivers haul cargo over irregular routes and are away from home for extended periods of time. In ATA’s latest survey, turnover rates for drivers working over-the-road for less-than-truckload carriers actually fell by one point to 9% in the second quarter compared with the first quarter of 2017, while the rate for local drivers rose by 2 points to 14%.